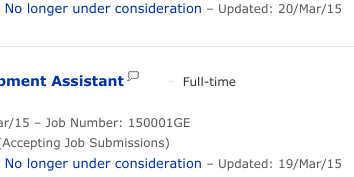 As I mentioned last month, I am on the hunt for a job here in Basel. So far, this hasn’t yielded any positive results. Oh, hey, my first form rejection letter of the job hunt. Fun. That particular company hit me with a quick one-two punch of rejection letters. I would have preferred it if they could have condensed the two “no longer under consideration” letters into one, honestly. Job hunting is hard regardless, but the language barrier over here creates an additional hurdle that I didn’t foresee being so high. Two OR MORE languages? This one is particularly difficult! And some requirements seem so specific that it seems they may already have a particular candidate in mind (and it’s not me). These are all also 2.5 hours away, so the commute would be prohibitive. With the concern of paying rent and making the mortgage payment back in the States, plus the cost of daycare over here and the tax implications of being a dual-income family, I need to be somewhat picky about where I work. I need to make sure that the pay is high enough to not hurt our income. It is nice to know that I can’t go undervaluing myself, but it’s also kind of nerve-wracking to ask for higher pay than I’ve ever received in my life. Hello, Swiss cost of living! That one “closed” status is on an application I submitted in error. The job was listed in German, not English, and I accidentally applied and then had to withdraw my application. Oops! This entry was posted in basel, europe, switzerland and tagged A to Z Challenge, activities, culture shock, doubt, expat problems, job, lost in translation, new beginnings, worry. Bookmark the permalink.